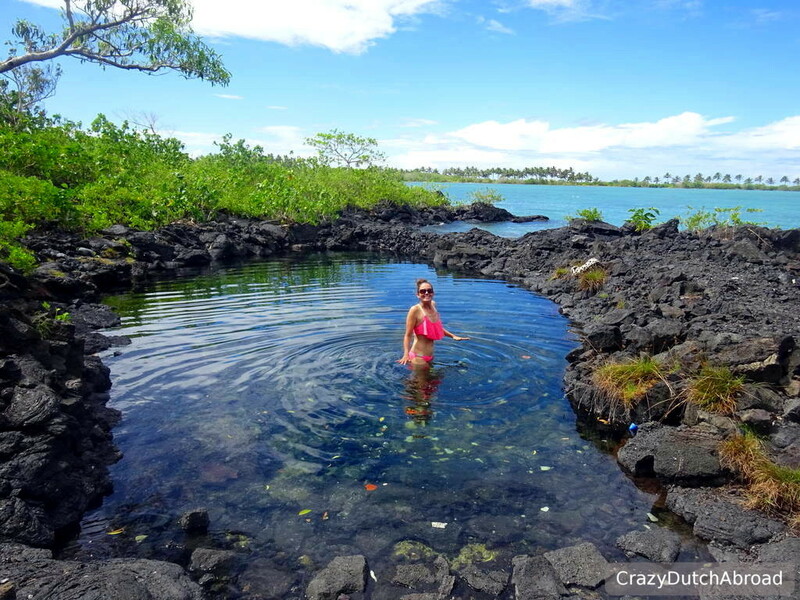 Lava fields and natural springs in Samoa! 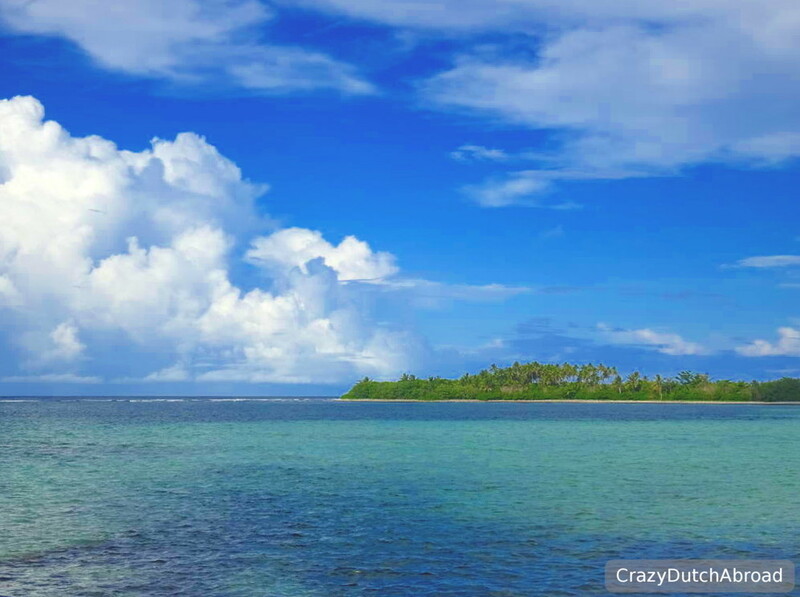 Savaii is the biggest island of tropical Samoa but still a tiny dot on the map in the South Pacific. With dozens of colorful churches, a handful of resorts and natural springs everywhere - this is a beautiful spot on earth! White rocks decorate the grass along the ringroad and every single garden is colorful and well-kept. IF you see people working, they mainly work on the green along the side of the roads. Fales are everywhere, many have a border of flowery fabric decorating the roof. Some fales even have a sheet of fabric instead of a wall for a breeze and protection against the sun. It looks like a year-round birthday celebration and makes it very lively and tropical. In front of the house people often have a grave with colorful fresh or plastic flowers around it, sometimes a little house. Some look like Maya temples with all the layers of rocks. The closer to 'heaven' the more important people seem to be. Family connections are very strong in Samoa! Washing clothes often happens in the fresh water spring pools and rivers around the house. Afterwards the clothes, mainly lavalavas (sarongs), are spread along the lava rocks making the landscape even more colorful. 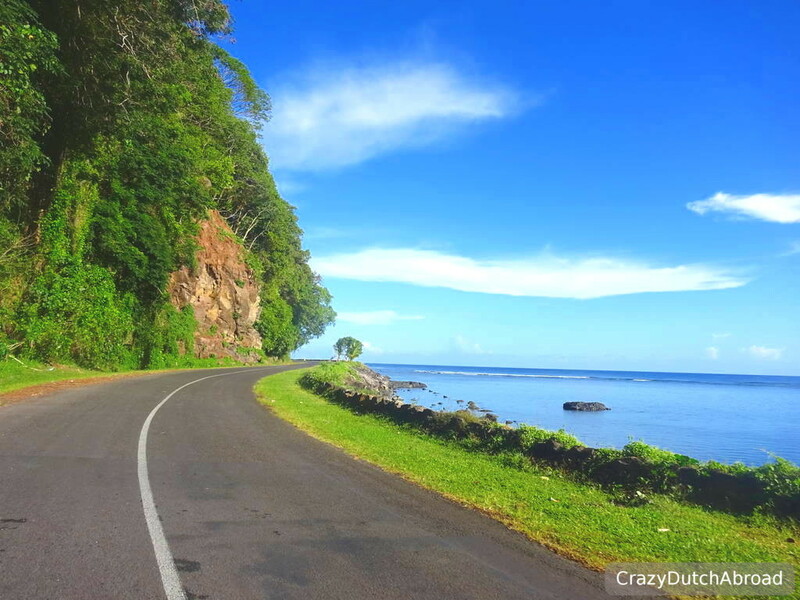 Relax and enjoy yourself, the laid-back vibe of Samoa is all around. Go slow, enjoy the surroundings and drink a fresh coconuts during your trip. Coconuts are sold along the road, sometimes even chilled. It is super healthy, hydrating and refreshing! 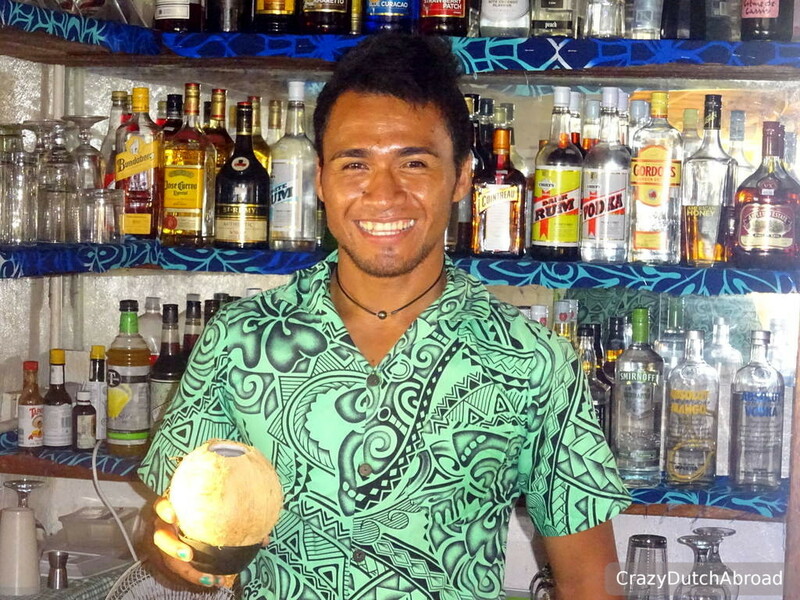 An average family in Samoa consumes 7 coconuts a day! 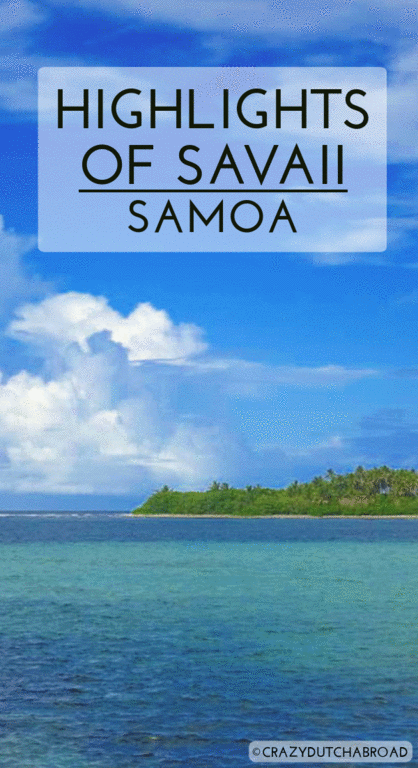 Things to love about Savaii in Samoa! 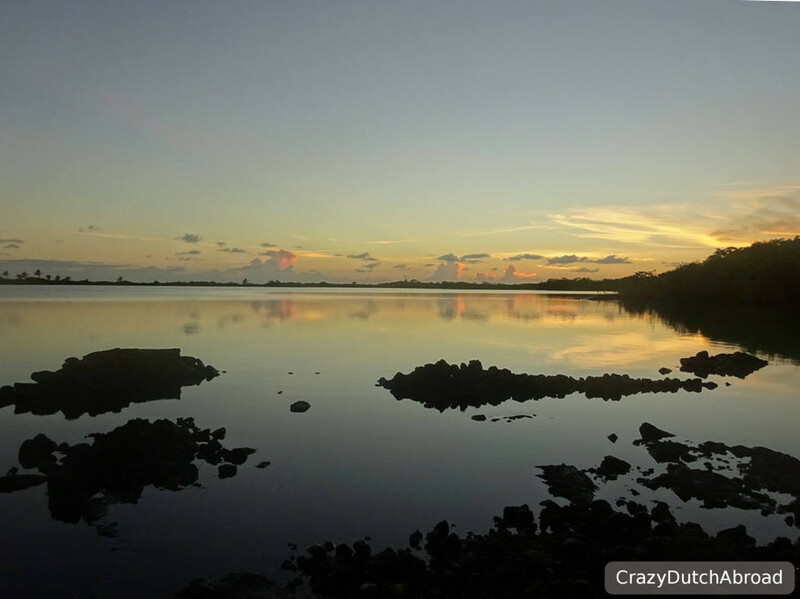 At the North-Eastern part of Savaii there are lava fields and hot pools! It is beautiful to see and what we really loved was sleeping right on top of a lava field at Bayview Resort. We stayed in a fale-style bungalow with ocean and lava field view! The best part was the natural pool next to the ocean. Refreshing and so much more 'local' than a swimming pool, the children from the neighborhood came to swim here as well. 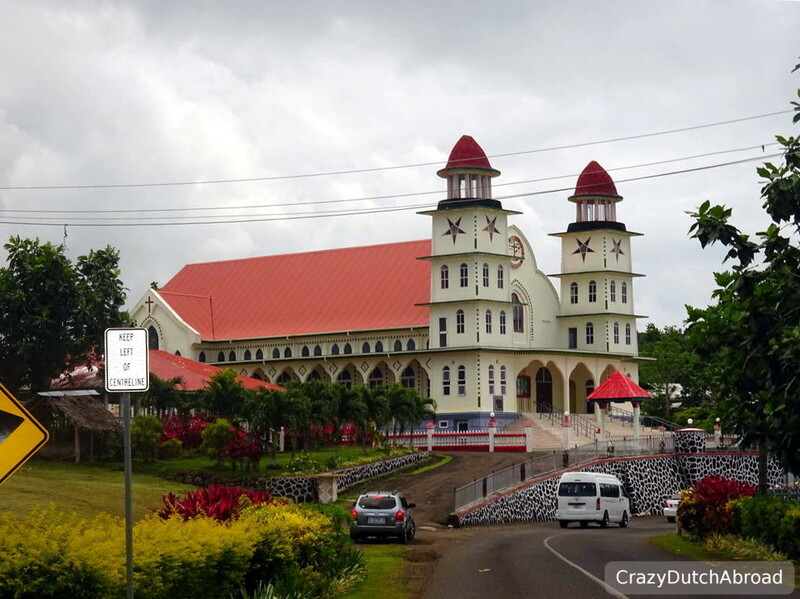 This family owned resort is great, it has Samoan style combined with western hospitality. No waterfront dining or sunset drinks here but the huge included breakfast and especially the natural surroundings makes it well worth a stay. 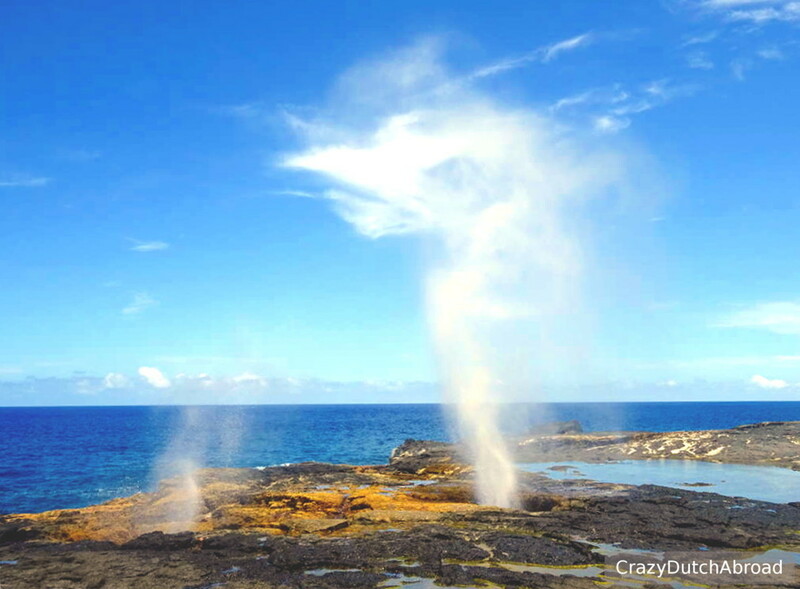 One of the other highlights of Savaii are the Alofaaga Blowholes! Depending on the conditions of the ocean, tides and wind, you can see a massive water fountain coming out of the lava rocks. You can hear the water moving forcefully underneath you and you will get splashed if you are standing too close (be careful). 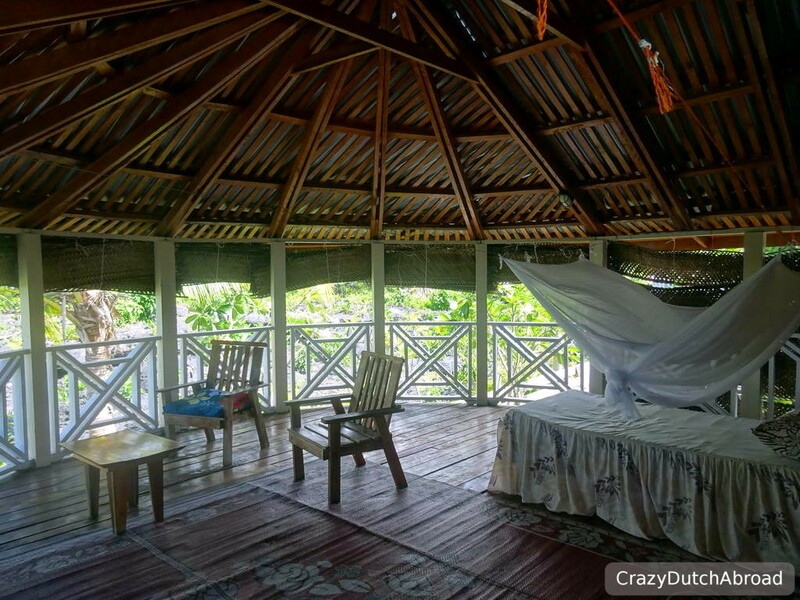 You pay an entrance fee to the family that owns the land, enjoy a fresh coconut here as well! 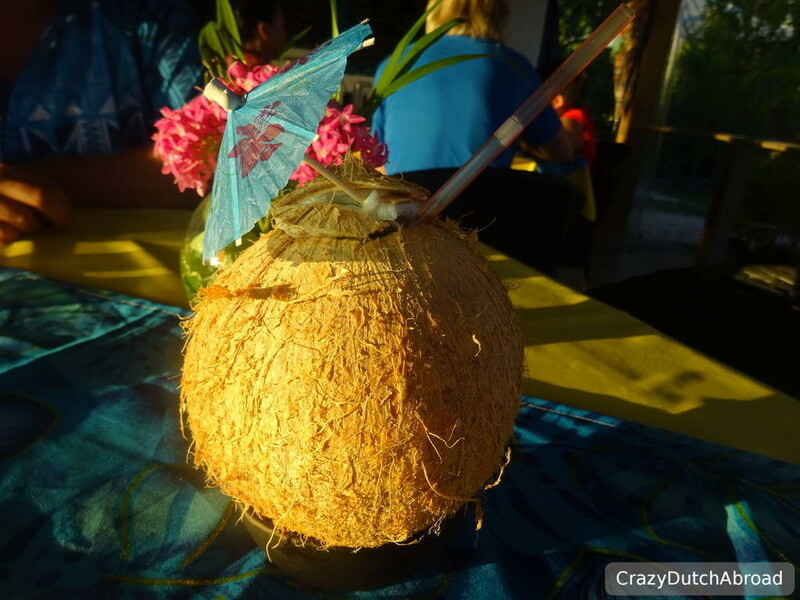 Ask for a coconut cocktail and enjoy a lovely sunset along the beach. The water is so clear here! Live Samoan songs were played while we were there. It was so 'busy' they ran out of dinner supplies. :) Luckily the fancy Le Lagoto Resort next door offered a la carte dining (see lessons learned). 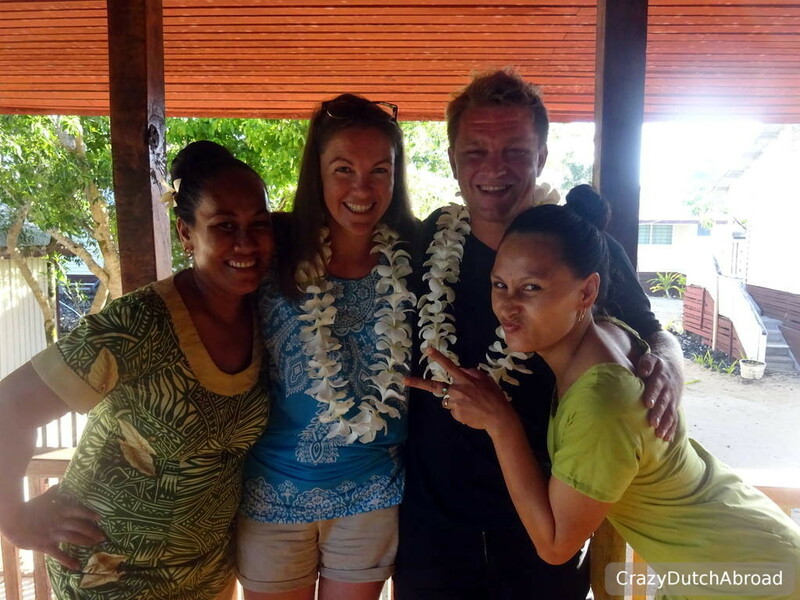 Lessons learned on Savaii in Samoa! During a road trip in a place like this it is great to stop and enjoy the view every now and then. 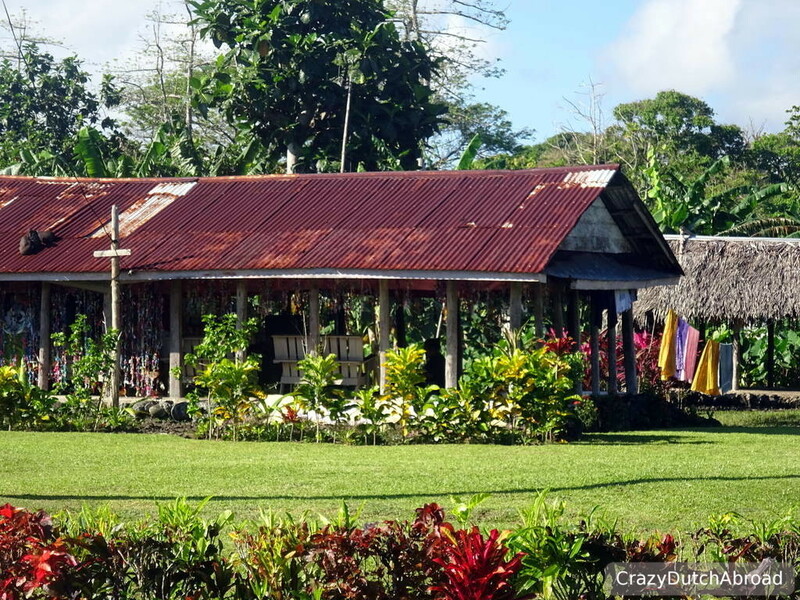 Savaii is so remote you will not find many places for a coffee break, but we found one for you! 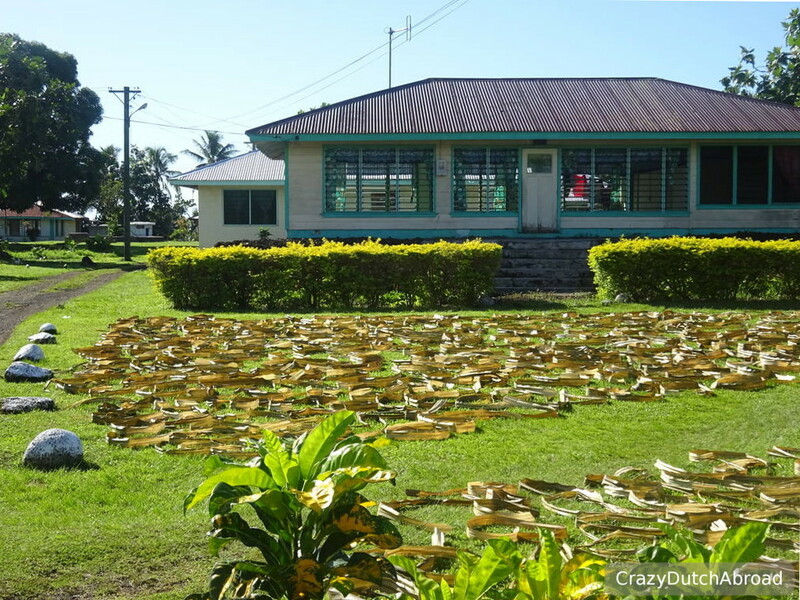 Next to MotoSamoa Savaii there is a cake shop that serves drinks and sweets. There is a sit-down garden area. Fuel-up around the harbor because there are not so many gas stations around the island. The same goes for cash, you might need to drive an hour for the closest ATM. Especially the smaller resorts will ask what you want to eat for dinner in the afternoon so they can start preparing. I am not sure if this more beneficial for the cooks or for the customers, but it looks like a solution for slower island life compared to customers being used to being served food within the hour... At least this way they have enough time to start preparing. 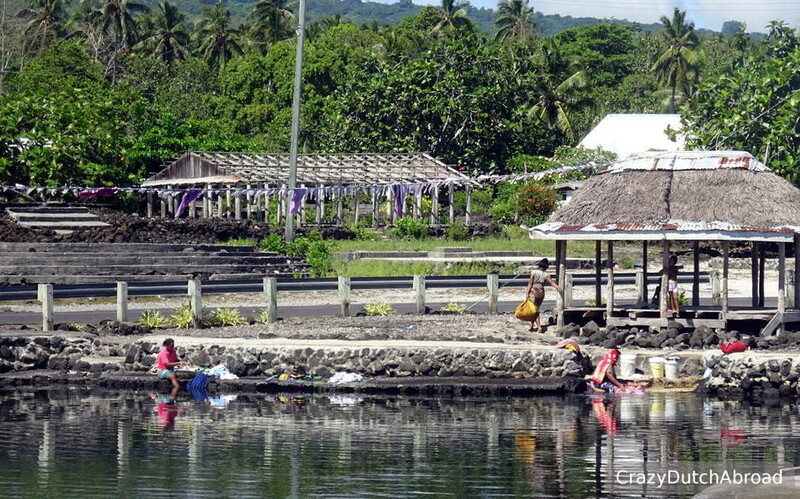 There are not so many things to do on Savaii so the family that owns this land must be pretty smart. They made a hanging bridge and it is a 'major' attraction. We skipped it since we have seen quite a lot, it felt like a tourist trap and I am a little afraid of heights! :). If you have never seen one or need something to do, go for it! Number of restaurants and bars in top-area There is no top area but the high-end resorts have good restaurants/bars. Quality of local food Most resorts have some local dishes on the menu, not the same but very tasty! Local transport There are some buses that drive around, but do not count on it. Taxi No taxis. Have your own transportation or you end up with guided trips! Resort Bayview Resort at Fagomalo, 50 USD including breakfast, hot shower and fan. Resort The Savaiian Hotel at Lalomalava costed 50 USD including breakfast, cold showers and fan. UMTS It works pretty good for a remote island Country, price is about 10USD for 1 Gb. Beaches All around the island you will find beaches. Nice sandy beaches and clear waters can be found at Savai'i Lagoon Resort and Le Lagoto Resort. Supermarket Stock-up in Apia or right at the harbor in Savaii. 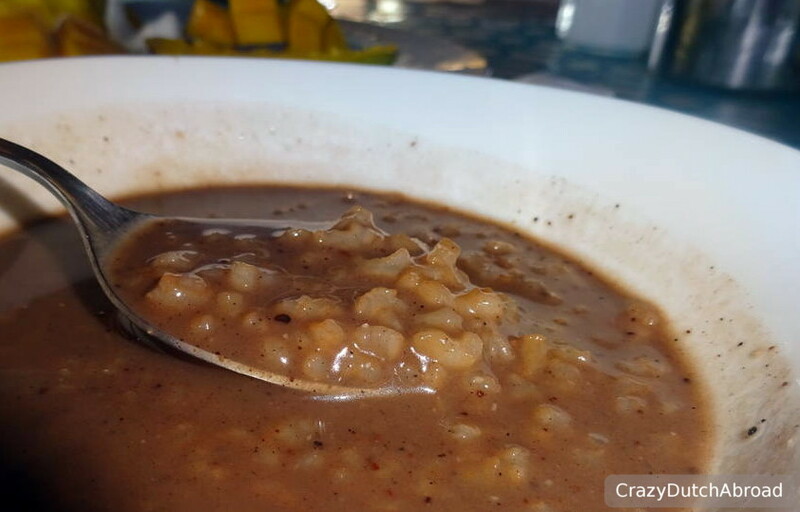 Breakfast with sweet rice soup and black beans... Lot of sugar, 'different' taste but very local!